As winter sets in, it’s time to prepare your vehicle for safe travel in hazardous weather. Whether you rely on your vehicle for your daily drive to work or you’re counting on it for a long road trip, there are several things you can do to help prevent accidents and improve your vehicle’s safety and reliability on the road. Here’s our handy checklist of things you should do to get your car ready for winter. Start your winter maintenance by inspecting your tires. Do they have a good tread on them? If not, consider replacing them. While snow tires aren’t necessary for Texas, consider choosing a winter tire that is made explicitly for temps below 45 degrees. 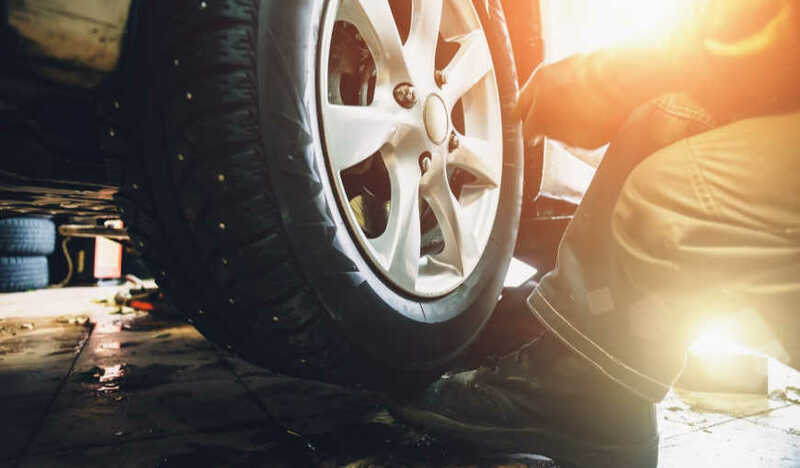 While they’re great for the rest of the year, all-season tires can harden when it’s cold, and they might not grip as well in freezing temperatures. You should also get into the habit of checking your tire pressure each month. Check your owner’s manual to see what the proper psi is for your vehicle. Most auto parts stores will be happy to test your battery for you, but there’s an easy way to check it yourself, too. Simply turn your car’s headlights on before you start the engine. Then, watch to see if the headlights get brighter once you start the car. If they do, it might be time to replace your battery. You should also check your battery cables for signs of wear, check the fluid level, and look for corrosion on the battery terminals. If your car is due for an oil change, now’s the time to take care of it. If not, check the oil level and top it up if needed. Coolant is just as important in the winter as it is in the summer. If your coolant isn’t mixed correctly, there’s a chance it might freeze and cause harm to your engine or radiator. While you’re at it, check your other fluids as well and top them up as needed. It’s a good idea to put a fresh set of wipers on your vehicle to improve visibility during winter storms. While you’re at it, consider treating your glass with anti-fog and water repellent treatments. Good brakes are just as important as good tires. Check your brake pads for signs of wear and replace them as needed. Also, check the texture and color of your brake fluid. If your brake fluid is dirty, you might not be able to stop quickly. There are a few other areas that should have a good going over as well. Check to make sure your heating system is working correctly, for obvious reasons. Now’s a good time to have a look at your belts, hoses, and spark plugs, too. Better to replace them now if they need it than to find yourself stranded on the side of the road on a cold winter day. Disregarding proper vehicle maintenance not only makes your car unsafe, but it can also lead to severe problems for your vehicle. Without proper maintenance, you may notice things like loss of engine power, overheating, burning smells, and fluid leaks. If you do notice these issues, talk to your mechanic right away to avoid the total breakdown of your vehicle. And if you have any questions about prepping your car for winter, just give us a call! We’re happy to help.